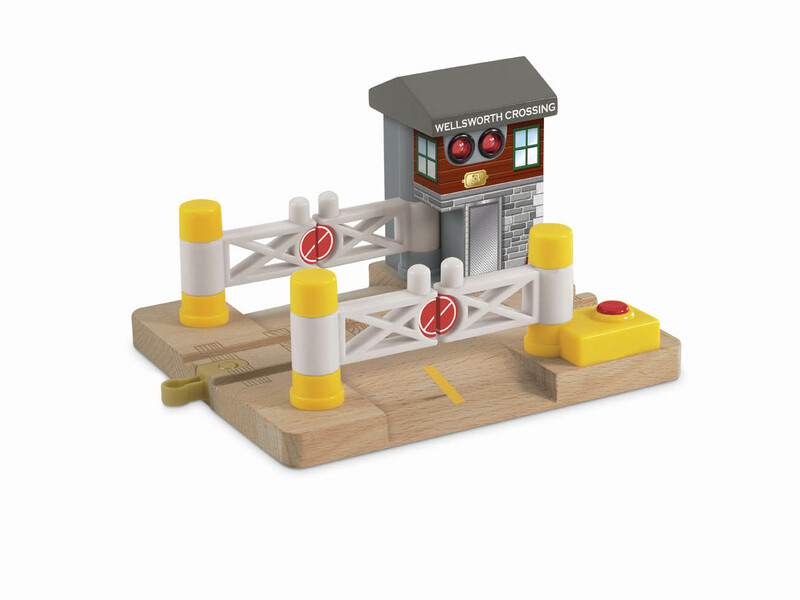 Bring the Island of Sodor to life with this Deluxe Railroad Crossing. A must have for any wooden train layout. As the child moves the gates to either block or allow road traffic to pass, they hear authentic warning bells and see flashing red lights! Signal lights flash when road gates are closed or by pressing the button. Sounds activate as the gates are closed or when button is pressed. Requires two AAA batteries included.